This post first appeared in my "Kathy's Katch" blog for the Discovery Education Network and is re-posted here with permission. Activators and summarizers have been used in classrooms for a long time. We all have our favorites and students know what to expect when we begin to use them. Since many classrooms now have at least part time access to 1:1 mobile devices, whether on a cart, a BYOD environment, or a true 1:1 program, I thought I would showcase how some of these can easily be used with mobile devices. This article will introduce you to activators and summarizers, convince you to use them, provide some help with how to introduce them, and find out how students can use them. What are activators and summarizers? 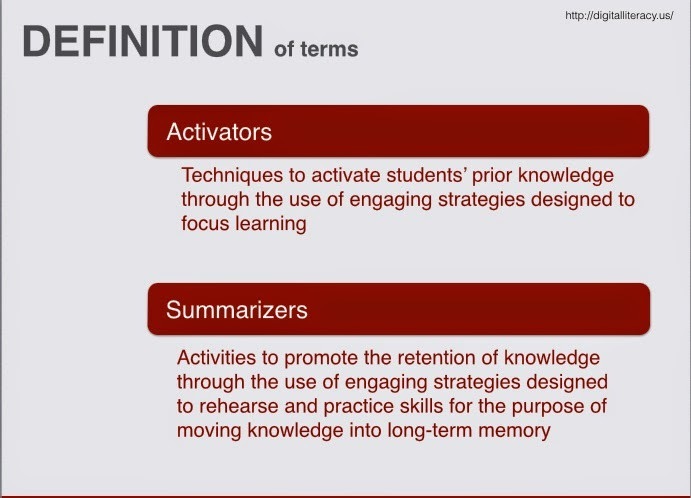 There are many definitions of activators and summarizers. I like this overview of them from the US Digital Literacy site. And, here is a newer one that just includes activators and is full of both process and content strategies for middle and high school students. Coral Martin has a great Powerpoint presentation that includes many useful things about activators and summarizers in the classroom. She talks about a side effect of the use of activators and summarizers which is that they can be instruments to minimize the tension of the students. Here is what that minimized tension can lead to in the learning process. Why should you use activators and summarizers in the classroom? Martin and Frazier/Mehle provides the following thoughts as to why it is educationally-sound to use these structures. These structures support retention of knowledge as students begin to develop an organized pattern of thought and move from knowledge to experience. How can you introduce these structures to students? 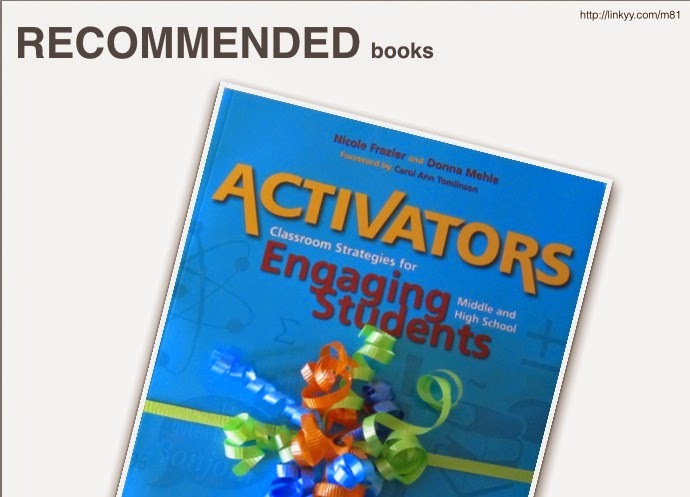 The Frazier and Mehle activators book provides some sound advice for teachers when they are planning to use activators or summarizers. These activities may require students to move around and/or meet in small groups. Is your room set-up for this? Is your furniture conducive to this? Do you want to have students moving furniture around each time you do one of these activities, or can you plan a more permanent set-up for your room that will work? Students are very social, but that does not necessarily make them expert collaborators or a good small group member. It is helpful to use a teamwork rubric about these assets or develop one with students. There are also process (rather than content) activators that can help students feel more comfortable with practicing these skills. In the business world, activators are usually called “ice breakers” and you can find many different types online to use with your students. After the activity, make sure to have students reflect on the process and suggest things that might make the activities run more smoothly. How can students use mobile devices for these activities? The object here is for you to move from traditional activators and summarizers to those that can be implemented via mobile devices. Here is sample to get you started thinking about how you might achieve that goal. In the Saphier and Haley activator book, they introduce an brainstorming activator entitled “Brainstorm and Categorize” which is used before you present new information to students. The teacher introduces the topic and has students brainstorm everything they think about the topic and then sort the list into categories. This is done either individually or in small groups and label the categories. To move this structure to the mobile device, first introduce the topic. Have each group of students create a single Padlet for their group using the freeform layout. The members of the group will brainstorm their ideas about a topic and put them on a note titled with their name and adding the broad topic. Students will then make a Padlet note for the category headings they decide on, and move their notes under the appropriate heading. Once their Padlet is done, the group will post the link to their Padlet to a class Padlet, so items can be shared and you can assess their work and determine what they do/don’t know. This activity can also be done on a whole class Padlet, and can be projected as you and the students decide on the categories and where each note should be put. Doing the activity whole-class will take longer, since there will be a lot of whole-class discussion on why items were added and which category they should be put beneath. However, working as a whole class will help you clear up misconceptions. 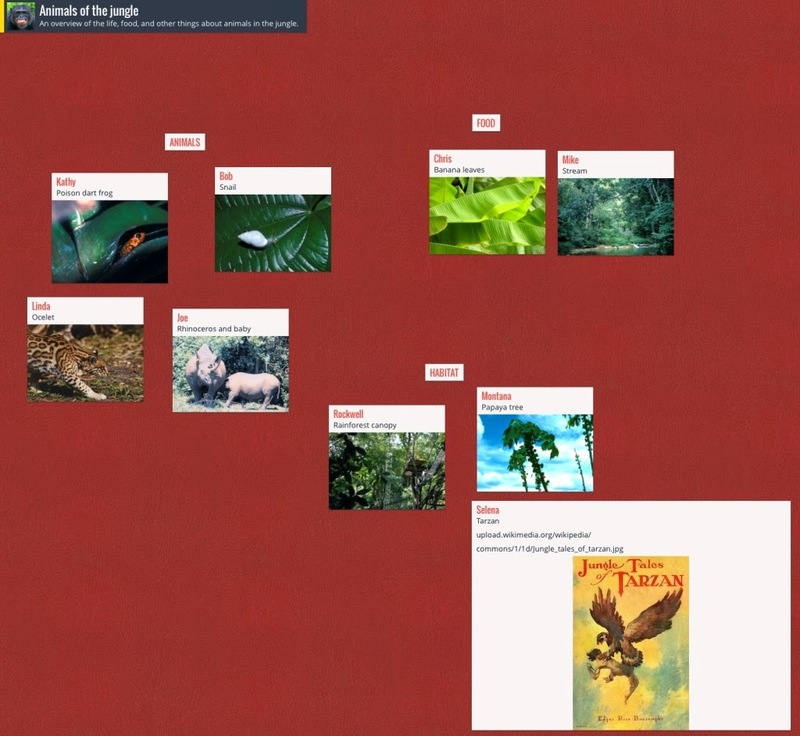 Below is a screenshot of Padlet using Discovery Education Streaming and one CC-licensed image about the jungle. The direct link may be found here. There are many other tools that can be used to adapt activators and summarizers to use on mobile devices. Drawing tools and screencasting tools, audio recording tools, concept-mapping tools, collaboration tools, and writing tools can help you move these activities to the digital realm. What is most beneficial about the digital results of these structures is that students can easily share work, you can assess everyone in the class since you have a copy of their work and sometimes an audio recording of their thinking processes, and you can see what information you may need to adapt or enhance the content of the unit of study. 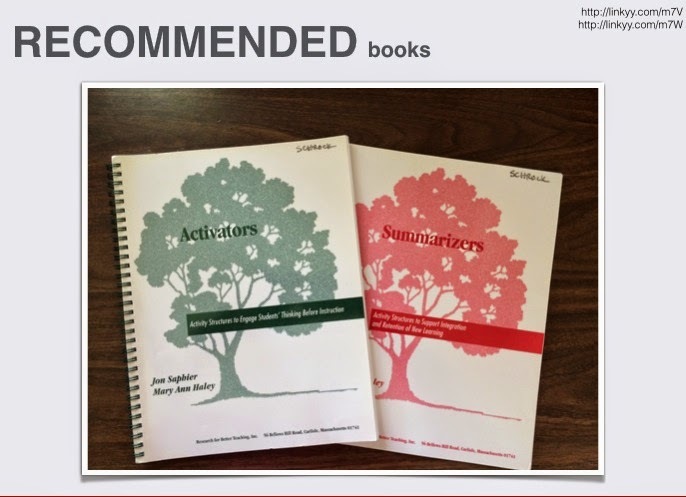 Links to activators and summarizers you can adapt may be found on my Activators and Summarizer page on the Kathy Schrock’s Guide to Everything site. Please email me and share any ways you use mobile devices for icebreakers, activators, or summarizers in your classroom!